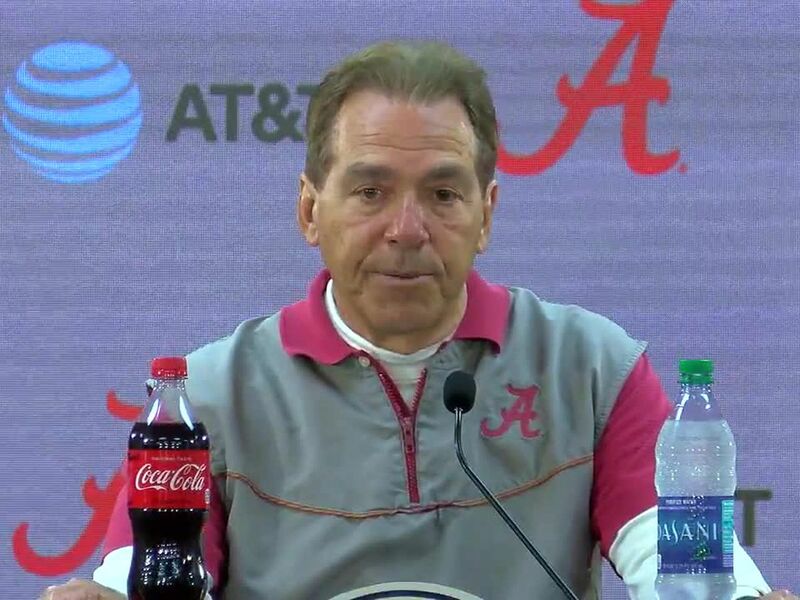 BIRMINGHAM, AL (WBRC) - They are the comments heard around the Bama Nation, and they are comments that are not being taken fondly by many Crimson Tide football fans. Yes, Jalen indeed hurts, and that hurt has been simmering inside the young man's brain since moments after Tua went all 2nd-and-26 on the Georgia Bulldogs. In Jalen Hurts' defense, he's been the target of speculation by media and fans alike ever since Bama pulled out an incredible win in the national championship game. Jalen or Tua? Tua or Jalen? And Hurts, the young man from Texas, has remained mum. But all of his emotions flowed out on Saturday, as Crimson Tide players met the media- and you could hear it in Jalen's voice: He had been waiting for this moment. If you missed his comments on the quarterback race and what he considers to be unfair treatment by fans and yes, coaches- take a listen to the video here. The highlights? Hurts called out his head coach by indicating he was none too happy with Nick Saban saying at SEC Media Days that he could not be certain if Hurts would be with the team this fall- Hurts claims he told the coach a month earlier that he would be with the team through thick and thin. Added Hurts, "No one, not even the coaches, asked me how I felt. Now when we try to handle the situation, it's kind of late- the narrative has already been created." In over thirty years of covering Alabama football, I have found Jalen Hurts to be one of my favorite players. Mature beyond his years (although some may have a different opinion after this deal), Hurts has always been open, honest and cooperative. Besides going 26-2 as a starter, he's given back to his community, whether it be volunteering at Habit For Humanity or Tim Tebow's Night Out for Downs syndrome adults. But I have to say that these comments did not serve him well - in fact, they could come back to bite him! It's never good to call out your head coach - and when your head coach is Nick Saban, it's worse. I have a feeling the Bama coach doesn't have much time for such shenanigans. Besides, in this day and age, it's best to say nothing. There are cameras and iPhones everywhere, and thanks to social media, Jalen's comments spread quickly. The good news for Jalen Hurts? Nick Saban is a players coach, as he's stood by many of his players when media and fans wanted to tear them up. Will Saban swallow his ego and look past Jalen's criticisms? Or will Jalen Hurts now be as good as gone? Tuesday is Jalen Hurts' 20th birthday. Unfortunately, Saturday's comments could be the icing on the cake as Nick Saban may soon make a move. Hurts may soon learn that at Alabama, you can't burn your candle at both ends. I have always enjoyed Jalen, and I truly hope that he stays at Bama and fights it out with Tua in a heated quarterback battle. But I have a feeling that we will know sooner rather than later if Jalen Hurts will experience the gift of another season as the Crimson Tide's starting quarterback.